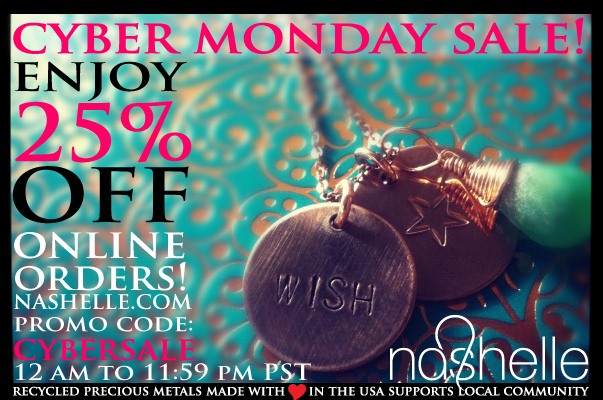 fashionably petite: Cyber Monday Jewelry and Accessory Sales! I recently went to a press preview showcasing these jewelry and accessory brands. Their Cyber Monday sales are definitely worth checking out! You never know when deals are just going to get even better. 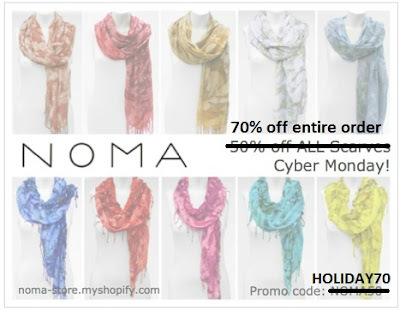 I just went to NOMA's website and saw that for today you can get 70% off your purchase with code HOLIDAY70 at checkout, plus free shipping! 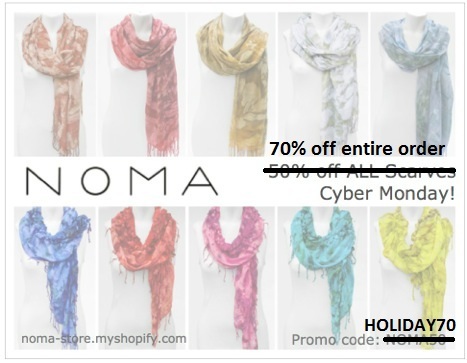 I'm a big fan of their scarves so I just bought the Cobalt Watermark Pashmina Gauze for $37.50, originally $125!